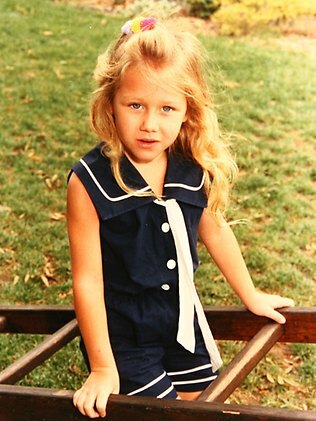 Continuing the celebration of Samantha Stosur’s perfect US Open 2011 title run we are showing you these beautiful photos of the Grand Slam champion when she was a girl. Doesn’t baby Sam remind you of Anna Kournikova? Both her face and long blond hair. Thanks to Women’s Tennis Blog’s reader Sam Lowe I was referred to these cute pics of Stosur at the Tennis Forum. 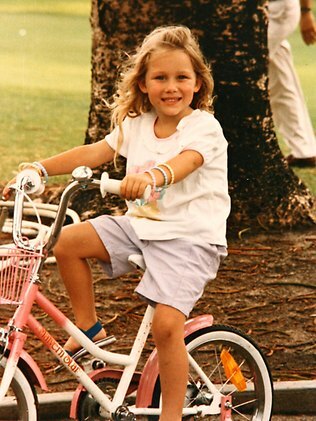 For numerous childhood photos and videos of WTA players check out our kiddie pics collection. You will see Serena and Venus Williams, Caroline Wozniacki, Dinara Safina, Dominika Cibulkova, Elena Dementieva, Jelena Jankovic, and many many others. They should have used the first picture in the press instead of the Time Square shoot. Thanks for the post Marija! Love these posts where you show tennis stars when they were kids…keep up the good work!